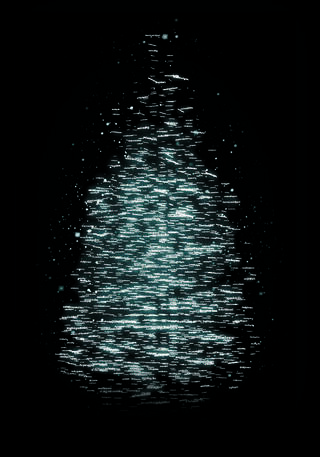 This year’s V&A Christmas tree has been conceived by Es Devlin. Set designer Es Devlin is known for the kinetic illuminated stage sculptures she creates in collaboration with the Royal Opera House and National Theatre, and with leading artists and performers including Beyonce, Kanye West and Adele. Conceived specially for the V&A, her new installation, the Singing Tree, will be brought to life via machine learning and thousands of words collected from the public.